Cumbrian Michael Wilson will race in the Britpart British Cross Country Championship this season after a successful Hill Rally championship last year. He will once again have Ian Letman in the navigator's seat. 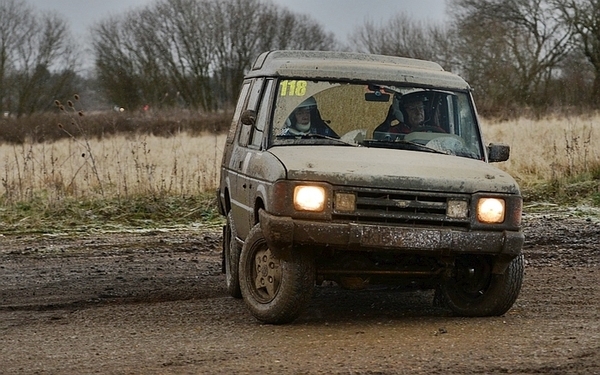 Wilson competed in the 2016 and 2017 championship as part of the Freelander Challenge, taking a Challenge win in the final round at Walters Arena. For 2019 he'll be using a Discovery V8 supported by Lamberts of Lancaster and Gibsons of Kendal. "We used the Discovery at a snowy NORC round at Wickenby last year at it was pretty entertaining," said Wilson. "My Freelander Challenge car has been sold so we'll be racing in the production class in the Disco." "We're planning on competing in all the BXCC rounds and also the Welsh and Borders hill rallies. We may possibly use a different vehicle for the hill rallies." "It's great that the British championship has returned, I'm really looking forward to racing again."